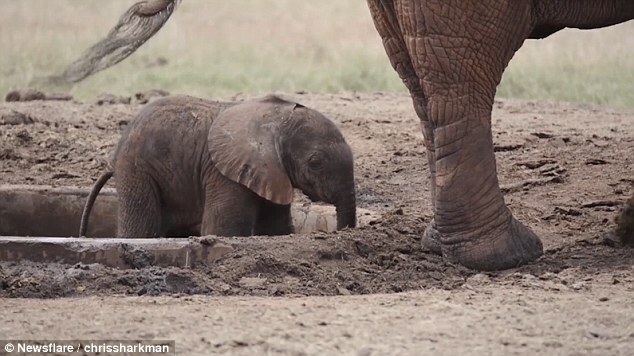 During the footage the baby reaches out with its tiny trunk to its mother, but she is unable to pull her young out of the watering hole and can only pace around the pond and keep watch. The future looks bleak for the baby, as without a way out of the watering hole it is vulnerable to predators or could starve to death. But suddenly, a helicopter approaches in the sky above. 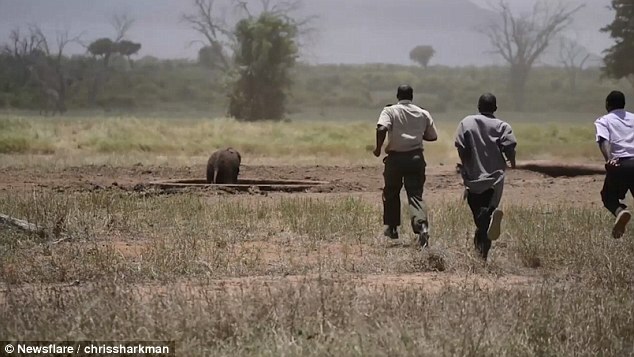 A rescue team from the David Sheldrick Wildlife Trust burst onto the scene and sprint over to the stricken youngster. 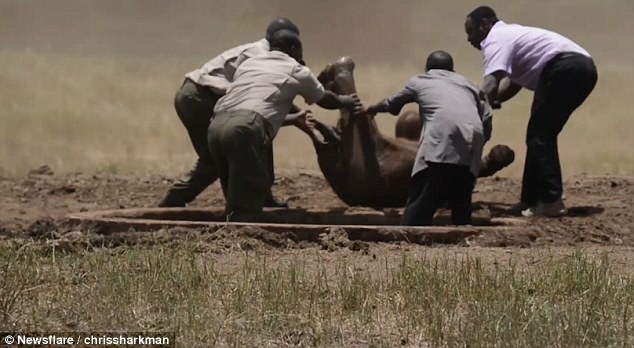 They jump into the watering hole and gently roll the elephant out of the pond and back onto its feet. 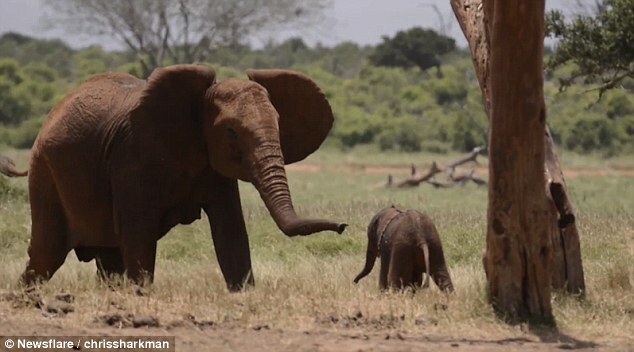 The baby then trots over to be reunited with its mother. 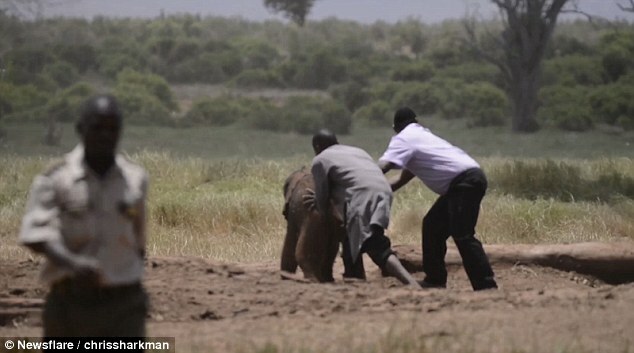 Responses to "Helicopter Team Rescues a Baby Elephant from a Watering Hole "